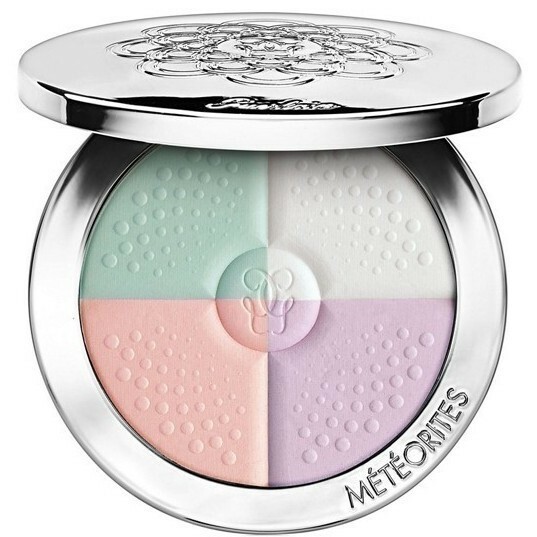 Create a smooth, flawless complexion wherever you are with the GUERLAIN Meteorites Compact - Colour-Correcting, Blotting and Lighting Powder, a finely pressed travel version of the legendary pearls that will effortlessly correct, mattify and provide a subtle radiance to your skin. The combination of these four beauty-boosting and corrective light and matte shades impart the perfect amount of light onto the complexion and will adapt to each skin tone, offering a tailored radiance in just a few seconds. Housed in an exquisite silver compact, embellished with an ornate embossed design, this is luxury beauty at its best. Guerlain Meteorites Compact powder uses Stardust Technology, a light-reflecting polymer to transform light that is invisible to the naked eye into a veil of radiance onto the skin creating an enviable airbrushed effect. Skin is mattified, hydrated and shine-free. Available in 3 different shade options to suit each skin tone.